Posted December 23, 2015 by Jackie McMillan & filed under Booze, Eat & Drink, Foodie Diary, Wine. Your seasonal saviour may turn out to be Quick Bottle, who will deliver grog to yours (in Sydney CBD, Inner West, Eastern Suburbs and Lower North) in around forty minutes. 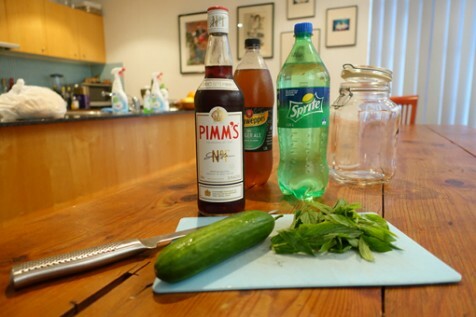 I gave it a road test last weekend and was delighted to find most of the fixings for a Sunday afternoon Pimms Cup – Pimms No. 10 Cup ($49.95/500ml) and Lemonade ($4.95/1.25L) – bar the dry ginger ale. Please note: Quick Bottle will be closed on December 24, 25 and 31.